East Georgia State College Cheerleaders are upbeat, fun and are ready to get the crowd pumped during all home Men’s & Women’s Basketball games. 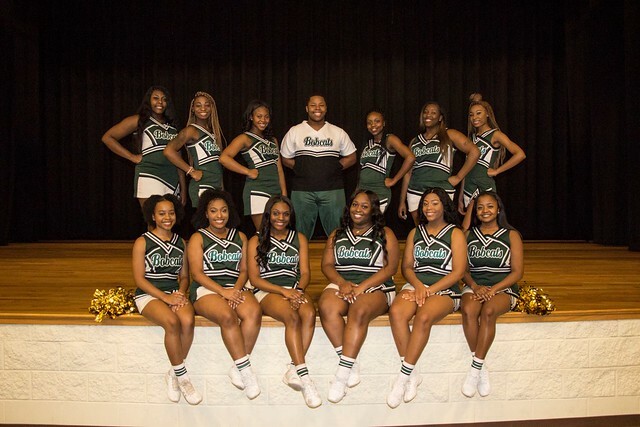 We are a co-ed cheerleading squad, and our exciting cheers and routines features skilled jumps, hip/hop halftime performances, and medium level stunts. Come be a part of the excitement--this is a club worth joining! Congratulations to the 2017-18 EGSC Cheerleaders!